April showers bring May flowers and the month of April brings taxes. It's tax time again. This is the time of year when people start visiting an accountant. Generally, people are worried about their itemized deductions and how many exemptions they may be able to claim. Spouses may face another particular tax problem, whether they are single or divorced. This tax problem primarily occurs as a result of filing a joint return with your spouse. It becomes dangerous financially because of the principle of "joint and several liability". This legal term means that each tax payer is legally responsible for the entire tax liability. Whatever tax liability your spouse or ex-spouse fails to pay, you will be required to pay. If it should come to light that your spouse has underpaid his or her taxes, it won't matter to the IRS which of you was responsible. If the improper return was filed jointly, the government can go after both of you, even if you did not personally earn one dime of the reported income. You also could be held liable for such errors or omissions in joint tax returns even after your divorce has been finalized. In many divorces, the spouses often attempt to protect themselves from such liability by requiring in their settlement agreement or their final divorce judgment that their spouse will be responsible for any deficiencies in terms of paying taxes. Unfortunately, this kind of language only provides superficial relief. The IRS is not bound by the language in the divorce settlement agreement, no matter what it says about who's responsible for the unpaid taxes. As far as the U.S. and state government taxing authorities are concerned, if you signed the joint tax return, you are just as liable as your spouse for all the taxes that are owed. 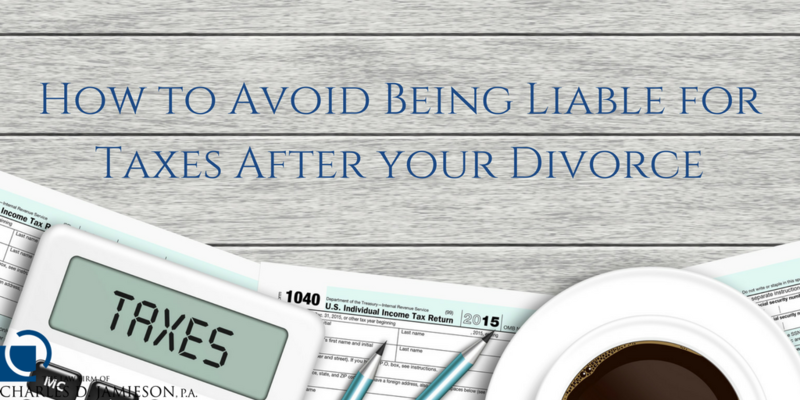 You can rest assured that if your spouse does not pay the taxes, the IRS will come after you. 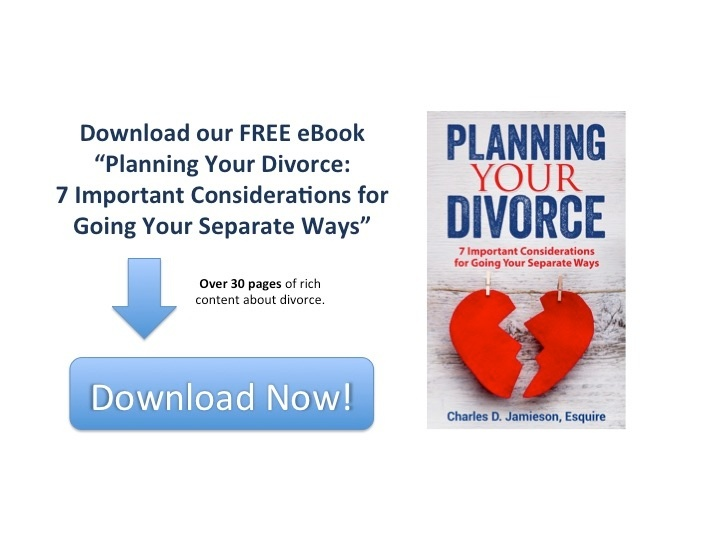 Download our FREE eBook, "Planning Your Divorce"
This can be a tremendous burden because taxes, interest and penalties can quickly add up to staggering sums of money. You could find yourself owing the federal government tens, if not hundreds, of thousands of dollars. “Innocent Spouse Status”: Even if you did file a joint tax return with the IRS, under limited circumstances, you may be able to obtain relief and not be found liable for the unpaid taxes. However, “Innocent Spouse Relief” is far more limited and difficult to obtain then you might assume. One can obtain "innocent spouse relief" only when: a) you had nothing to do with earning the income that resulted in the unpaid taxes; b) you did not know and had no reason to know about the unpaid taxes when you signed the joint tax return; and 3. under all the circumstances, it would be unfair to hold you responsible for that portion of the taxes. However, please note that this exception may provide you only partial relief. Even if you qualify for an "Income Spouse Relief", the IRS would still find you liable for the remaining portion of the joint tax responsibility, if any – which you would owe unrelated to your ex-spouse's improper reporting. The “Innocent Spouse Relief" is difficult to obtain. Consequently, the best action is to be proactive and not leave it to the IRS or a tax authority to determine how much you knew about your marital income and your family’s tax situation. As with so many other areas in life, it's always better to be pro-active early on. Consequently, you should get educated about your spouse's business and his various streams of income. The more you know about your spouse's business and income sources, the less likely you are to file a joint tax return you can't fully support. Nevertheless, when in doubt, file a separate tax return during the marriage. Even if doing so requires you to pay more taxes, it is better to pay more taxes now than to be pursued by the IRS for an amount of tax that you cannot pay later.